In late June, my father, Don Walker, passed away from a glioblastoma multiforme (GBM), the same brain cancer that Sen. John McCain has been diagnosed with. It sounds as if they caught Sen. McCain's cancer earlier that Dad's. I hope so. It is an ugly illness with a life expectancy of around 14 months once diagnosed. When they ran an MRI in early April and found Dad's GBM, they said it was far along and gave him 3-6 months to live. Sadly, he only lived another 3 months, and for half of that, he could no longer communicate. Once he was released from the hospital and moved into a senior living facility, the staff and hospice personnel were very supportive and responsive to his needs and to mine when I requested something for him, whether it was service or food or drink. I also want to thank my siblings and spouses for their support during the days leading up to and following Dad's home-going. I think the above photo was taken in October of 2012. We were on a trail just outside of Ridgway, CO. 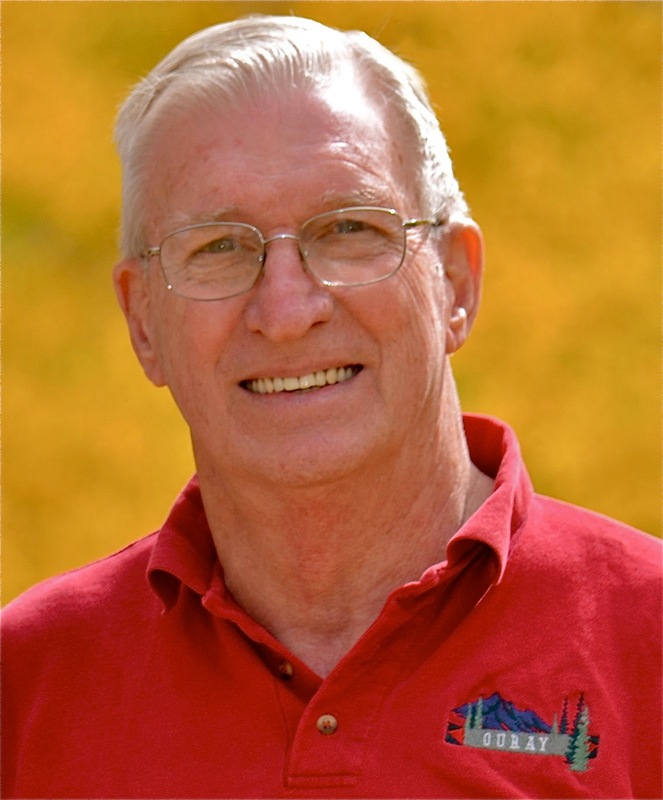 He is wearing one of his many Ouray polo shirts. Thanks, Randy, for the commemorative post. This is a Flickr badge showing public photos and videos from UncleRWalker. Make your own badge here. Is TV making me lazy and stupid? It's Certainly Something . . .